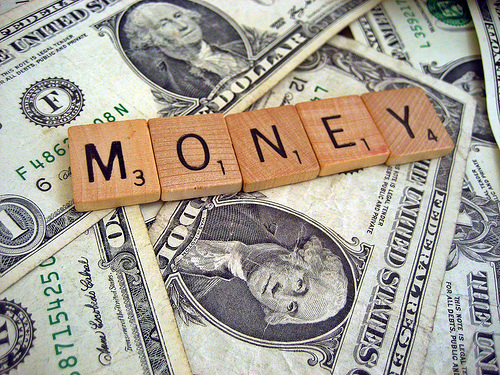 5 Ways To Get Your Finances Under Control | Save. Spend. Splurge. Learning how to manage your money is a skill like anything else, so why not apply the following principles? The easiest example for me to give you, is that I am not someone who is naturally inclined towards math. You’re probably rolling your eyes at me right now – How is this possible!!? She’s a PF BLOGGER for chrissakes! But it’s true. I don’t hate math, but I’ve never been the kid who was excited to do math instead of reading a book. I’d pick that book over math problems any day. So it’s really not about your natural “talent” in math or just simply understanding personal finance intuitively. Let me let you in on a little secret — NO ONE really understands personal money management intuitively — they were probably taught by a parent, or read a book, or were somehow shown or drawn into the world of money management, at which point a lightbulb went on in their heads and they realized they could do the same thing with their money. Sometimes, it is just luck. You happen to have a friend who starts getting excited about investing, and soon you’re getting excited too. Or maybe you have a parent who passed on great money values to you, and you learned from a young age how to budget. My push was getting into $60,000 of debt, feeling an obligation to pay back my debt responsibly, and deciding to learn how to budget. That’s all it took, and I’m still learning! Know how Malcolm Gladwell in Outliers says that it takes 10,000 hours to get good at something? It’s not just showing up for the 10,000 hours, it’s actively engaging and being interested in what you’re learning and doing for 10,000 hours. You have to actually WORK in those 10,000 hours before you’re good at anything. 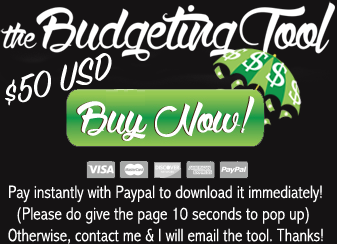 Want to create a budget? Create one. So what if it’s wrong? You can always change it. The point is to start practicing what you want to accomplish so that you will get better at it because you’re immersed in it. Or if you paid your debt off, your money management doesn’t stop there. You now need to save for your retirement and your other goals. You now need to learn how to invest your money so that it grows more than inflation, and you have a nest egg waiting for you at the end of your working career. You can definitely set up your finances to be as passive, and as on auto-pilot as possible, but it is a LONG-TERM commitment to checking in at least once every quarter, or year, and watching out for problems. You will never be done with budgeting. The point is not to race someone else to the end in their net worth, it’s to just do better tomorrow, than what you did today. Learn from your mistakes (I find this one very hard because I’m prone to repeating mistakes), and be better tomorrow than you were today. People that are good at math, can be terrible at finance and money management. I am exhibit A… Calculus and engineering nerd, that spent money out of control on clothing, food, drinks, and gadgets. My math skills never got me out of my money mistakes. Only dedication to that goal can get you there. OK, point taken 🙂 I guess spendy is as spendy does. Math plays a very little role in all of that.